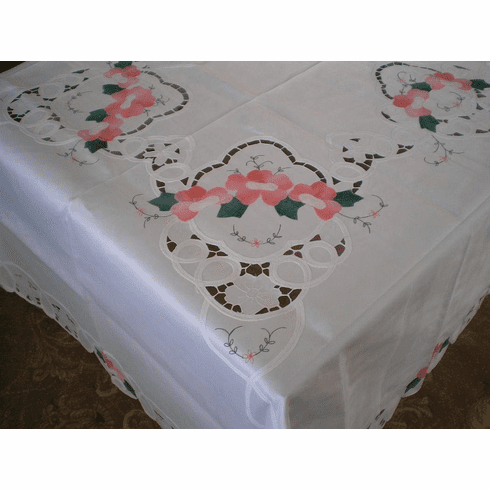 The beautiful, colorful table clothes made from quality polyester material. It is partially hand made batten lace with embroidery design. The background is snow white or off white / beige. The flowers on it come with green and light pink colors. Good for event party and family party. Notes: The color may vary from monitor to monitor.